 Holds up to 5 tippet spools. Loosen barrel lock, add tippet, and secure using barrel lock. Clip to pack or vest, or fasten to belt or strap. 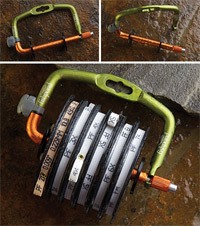  A low-profile dispenser that stores 6 different tippet material.  A line cutting blade is integrated. Convenient design makes tippet organisation better than ever. 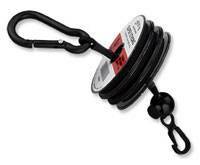 Holds 6 spools and attaches to a pack or vest with a carabiner.  Holds 6 tippet spools. Remove carabiner. Add desired amount of tippet spools. 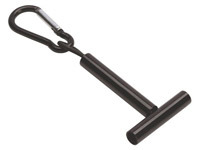 Replace carabiner. Attach to vest, pack, etc. When you use fishponds all-new Headgate tippet dispenser, you will wonder why no one has thought of anything like it before. The spring loaded hinge design allows an angler to easily add, remove and carry most tippet spools with ease. Just clip it on somewhere close and forget about the days of fishing through your waders, vest or pack searching for those loose spools. Dropped your nippers on the hike in? Not to worry, the Headgate also features a built in cutting blade for ultimate convenience.  Replaceable razorblade line cutter.  Holds 7 tippet spools.  Secure spring loaded pull for access to change spools. 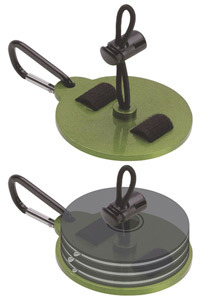 A tippet spool holder is a tippet spool holder, unless its from Fishpond. The Tippet Spool Cord combines flexibility with incomparable simplicity to take care of all commercially available tippet spools. Designed for easy-on, easy-off spool management, it has clips on both sides so you can secure it almost anywhere.  Attaches to D-rings, cord loops.  Nylon cord with plastic sheath.  Duraflex clips for easy on/off attachment. Easily coil and control waste leader and tipped materials, keeps mono from creeping out of your pocket and into the environment. About the best and neatest trash line tidy we have come across! Cut coils in half before disposing your line. Anodized marine grade aluminum and UV resistant materials. A tippet dispenser with a fixed length stacker, capable of holding five spools of standard 50mm tippet material. Complete with spring loaded aluminium fish shape attachment. A deluxe tippet dispenser that features both an Easy Slot foam fly patch to hold the crucial selection of flies when you need them, as well as a pin-on retractor for your nippers. Magnetic strip for convenient storage of flies. Pin-on system on back. 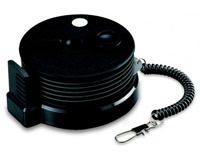 An ingenious device that fits to any flat reel surface and safely/ securely holds your tippet. Equally useful on the bank to avoid loops entering the rod and between trips so you dont lose the end of the leader on the spool. 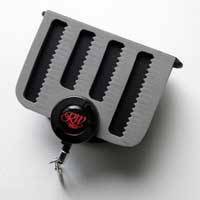 Easy-to-use tippet holder fly fishing accessory holds up to four spools securely between the two end caps. Cord holder can be clipped for convenience.